In the late 1930’s thru the early 1940’s there existed an undeniable truth in America. This truth speaks of many ranchers at that time, due to severe over-grazing of our public lands by their privately owned cattle, our public range lands and grasslands were being destroyed. Today the ongoing destruction remains quite obvious as well, as history shows us, and tells us of the corruption, greed, and ignorance within this industry – as history shows us the truth of the situations, and quite evident. So here we go, on the road of corruption, explained and noted well, and the managing government agencies? Well, let’s just say they are cooperative, and very corrupt, with this same Grazing Permit Program. “U. S. Secretary of Agriculture Henry Wallace told Wyoming ranchers in 1934 they were ruining the public range by overgrazing . . . Ranchers could not deny the evidence, but tried . . .
. . . But Wallace, undeterred, responded with candor and bluntness, and, in language no one could misinterpret, spoke directly to the question of why the public range was in such sorry shape. He rebuked the livestock raisers for overstocking their ranges for the past five years, in some pastures to the point of erosion, possibly ruining the land permanently. Although, the difference today is the Welfare Ranchers — those cattle ranchers who hold Grazing Permits for Public Lands grazing of their cattle at a very reduced cost, at taxpayer expense – ironically, obtain subsidies in large amounts by having this Grazing Permit, and are becoming very wealthy; although, from taxpayer’s dollars and very dishonestly. Yes, the Grazing Permit System and the BLM are corrupt entirely – and has been for years now . . .
To state the Government’s Grazing Permit Program corrupt, is and remains an understatement, and sadly, the American population, in reality the taxpayers, bear the burden of it all – and ironically laws continuously broken as well by sub-leasing of federal lands, by these same people holding these Grazing Permits. Our environment and wildlife being sacrificed for this very system, which is corrupt in total – which is unacceptable, and by many American’s who know of this ongoing tragedy! Also, at that same time as today also, much of our grasslands and forests destroyed due to mismanaged and overpopulation of cattle in many areas. Yes, what was our Public Lands at that time, the early 1900’s, were in such bad shape, history states clearly due to ranchers ignorance, that cattle were starving, diseased, and western lands especially, become baron of vegetation, or any life in general. Many healthy pasture-lands, on public lands at that time – as well as today – become nothing more than un-useful wastelands and firestorm-hazards of Cheat Grass and striken with unrepairable-erosion and decay. So when we speak of our Public Lands being saved from ignorance, it is meant literally, our Public Lands were being saved from a very self-oriented and ignorant ranching community at that time; which, were those who did destroy much of our Public Lands at that time. Documents and other references submitted to Congress, show us many cattle dropping-dead on the open-ranges and due to ignorance, and simply mismanaged ranching operations. The ranchers life-styles, at that time, not much better. The well-meaning and fundamental situation to approach the problem was the Taylor Grazing Act’s very premise, for example. It was created to save America’s Pubic Lands from the over-whelming ignorance from those involved directly in cattle ranching (as corruption very obvious and the result even then was destroying our Public Lands) – and to create regulatory situations to prevent further decay within America’s Public Lands. 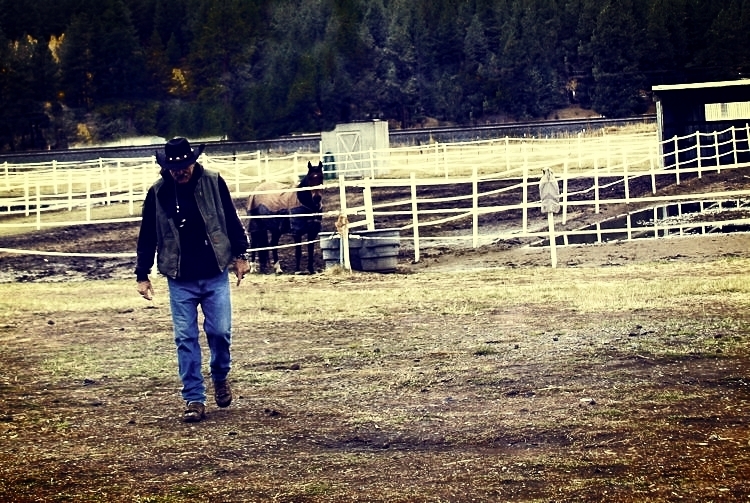 “Interesting enough, what we have found throughout the history of the TGA, was that the Taylor Grazing Act was meant to keep the ranching mind-set, or ranchers, out of the administrative and management levels of decision-making in the matters of our Public Lands domestically – mostly in the Western United States . . . The ideology of the TGA, was the ranching community at that time (history and well referenced) so corrupt and filled with greed, and lack of education in managing herds of cattle on their own ranch lands and pastures which over-shot onto Public Lands, indeed to costly with too many sacrifices. So for grasslands and forests to remain healthy and productive, an independent mind-set with nature a priority, was established, to manage America’s Public Lands – the ranchers, as stated above and within a historical context as well, were to be regulated, and “not” the regulators or overseers of our Public Lands, what so ever. This point cannot be stated enough – as we see the dominating influence of their regulatory mind-sets today, after many ranchers had invaded, and taken over many government agencies directly involved with Federal or Public Lands Management, and have indeed become corrupt in total. We are now seeing first-hand, just as those years way back when, the devastatingly same results on our Public Lands – this odd mind-set of managing livestock at the sacrifice of all else. But, also it includes the devastating destruction of our needed Grasslands, Forests, Rangelands, and Wildlife. The outright sacrifice of America’s Wildlife unacceptable – estimated at 48%+ Over-Kill yearly – and Welfare Ranching responsible / estimated at 89% of this Over-Kill problem domestically. Yes, the ranchers, in the late 1930’s and 1940’s, went to Congress for help. In an effort to help, the government created The U.S. Grazing Service, and the Taylor Grazing Act (as aforementioned). . . This sectioned our Public Lands into allotments that could be allocated or “permitted” (i.e. the Grazing Permit Process started) to individual ranchers who would then have that allotment leased to them. In reality, the TGA developed structure and synthesis within the industry, and the disconnect of ranchers from outright management of America’s Public Lands become beneficial, to ranchers and the future of grasslands development, forestry was enhanced, and the fundamentals of wildlife concerns and ecological systems managed appropriately were also being brought to the forefront. “The grazing system was set up so that each individual rancher would have his own grazing area on our America’s Public Lands. Fees for Public Lands grazing were set and remain set to this day, at way under market value. Today, the U.S. Grazing Service of yesteryear is called the Bureau of Land Management, and only about 18 – 20,000 ranchers hold grazing permits across all of our western lands. Keep in mind here as you read further, that most permit holders today are not really ranchers at all,.. but – Big Corporations like Del Webb or Hilton, or other Investment Companies, miscellaneous corporations of several types, as well with some foreign involvement (UAE), or by already wealthy individuals like Ted Turner. These are “the new” somewhat undefined (or read this as well hidden within government agency bureaucracy) the majority of Welfare Ranchers / Grazing Permit Holders. Grazing Rights on our public lands today is not really about cows any longer at all – its about holding title to a “vested interest” in the land, American-Taxpayer’s Lands – fought and paid for in many wars by American lives! A subject cattlemen will not and do not wish to discuss – a bothersome subject of they choose to ignore, nor admit to . . . or, many simply avoid in total. A Grazing Permit, for Federal and Public Lands use, increases the value of the holders “base property” and are traded and sold like the latest “hot commodity” they are. Grazing permits are as good as gold at the banks if you are looking to get a loan, so as you can see, the bankers have also a vested interest in our public lands, and are holding liens on them! This truism is merely the facade of holding a Grazing Permit, and not within legal form nor covered by any law. As a matter of fact, much of what is done with the Grazing Permits, as mentioned above, is above and beyond any legal standing what so ever. In reality, the Grazing Permit is only a tool for rancher’s to use in order to graze their cattle upon a regulated-pasture on a Lease-Only basis; which, there exists No Ownership rights (legally or otherwise) nor provision for Sub-Leasing of lands is provided nor legally an option – and truthfully, the lands discussed here, again and repeatable, happens to be owned by you and I — the taxpayers, veterans, and general population of this nation. But, the BLM, as mentioned, taken over by ranchers, create a lot of misinformation and outright lies – and suddenly out Public Lands become, as today, devastated with an over-population of cattle (ironically as well, the same type of situation that required the TGA to be created in the 30’s and 40’s – apparently we learn nothing within history, mind-sets of greed the motivating factors here). The TGA has been so compromised, as there exists no longer any firm or aggressive regulatory situation to speak of to promote environmental nor wildlife health what so ever. Upon reading further, you will understand how much more this evolves into destruction of our Public Lands, our Forestry, and Parks. Taxpayer benefits generated from the over all Grazing Permit Programs? NONE! The forage provided, and the beef produced from public lands is insignificant, and troubling on many levels. Frankly, it is simply not a good business proposition what so ever. In reality, the history and well recorded situation of needed subsidies shows this, beyond a doubt. Many financial advisers, as well as the investment community, see Welfare Ranching as an unnecessary element within the livestock industry, and simply a burden to taxpayer-dollars. The financial structure of a Welfare Ranching operational-aspects, is clearly that taxpayers pay for all below-the-line costs of running this business, and the rancher assumes all profit. . . Clearly there is a Fascism Principle involved here, where government and business collusion obvious, and definitely UN-American – as military men and women, in WWII for example, fought against this exact principle happening in the United States! And yet, with government involvement and much corruption involved, here it is! One can quite honestly also attest to the fact this antiquated program, generated from the Taylor Grazing Act to provide immediate assistance to ranchers, has failed. And truthfully, failed years ago and started to fail when ranchers found ways to compromise the TGA . . .
We can obtain credibility quite easily on this statement, as well, with different Congressional favored actions, newly created Acts that compromised the Taylor Grazing Act, and brought to us by cattle associated lobby groups, or associated Welfare Ranching groups. These groups used their obtained corruptly-subsidized money, in large amounts, given to them from taxpayer dollars. The interesting aspects here apparent – that, indeed, more control of where taxpayer money goes, especially in the future, should be a priority within Federal Law, and aggressively approached. In reality? This particular system hopes, beyond all hopes, the that the overall taxpaying public does not find out about the tremendous corruption ongoing within this system. BLM disregarded the information, and claimed people just did not understand the way BLM (i.e. Bureau of Land Management), goes about doing their rangelands studies, and Ecological Systems Reports. The fact is, when cattle taken out of the Rangelands’ Studies, as they did in 2007 and redone and continue today, since 2009, then yes, the public has a definite right to question their methodology and Public Lands Management. American’s of all types, that pay taxes, should be questioning this government agency – and for several more totally corrupt reasons that have been proven beyond any doubt at all. But a travesty does exist. Our legal system is simply not going forward with investigation and prosecution – even though a substantial history of corruption does exist – actually, a large history of corruption and since its beginnings. . . Alternative uses of federal public lands contribute much more income to local and regional economies than livestock grazing; which inclusive as well is the fact of a far less destructive input, to our environment as well as our Wildlife domestically. Sacrificing either is a tremendous sacrifice, as we have severe problems in both our environment and wildlife management, and causation from the cattle industry a large part of it. As well as their contrary mind-sets as well to the taxpayers and American’s and actual owner’s of these lands – oh, but our money is very good, to them, as we receive nothing in return. The majority of BLM and Forest Service grazing fees are not deposited to the U.S. Treasury, but instead are diverted to the “Range Betterment Fund” to pay for fencing, water developments, and related infrastructure to support continued livestock grazing, which is nothing more than a slush-fund of a lot of money, variable, that goes to payoffs, friends of BLM employees, Welfare Ranchers under false Voucher and fraudulent Billing Statements to the BLM and Forestry, and to much corrupt payment situations to list here . . .
Of the millions of dollars that taxpayers spend annually to subsidize public lands grazing, perhaps $5 – $20+ million is dedicated to killing “predators” to supposedly protect livestock grazing on federal lands. Native wildlife killed to protect livestock include coyotes, bobcats, wolves, mountain lions, and bears. The problem is, there is an over-population of cattle on Federal Lands-Public Lands, as BLM does not inspect the locations, nor keep track of cattle coming and going on our Public Lands, so the problem increases ten-fold yearly – so the government agency in charge of this type of management, to oversee the activity, whether the wildlife requires killing, or any options available, simply does not do so and simply does not exist – Although, paid to do so, via budgets and payroll perusal by many of us, to those exact government employees paid to do so – well referenced . . .
Wildlife Services, for this example, spent more than $61 million of federal funds to control wildlife (see below – and that did not need or require control what so ever / at all) in FY 2007; more than $18 million was spent to protect “agriculture” (including livestock) from animal damage; of that amount, $10,303,903 was spent in the eleven western states with the most federal public land and federal public lands grazing – very costly lies, indeed, when understanding the information in 3, 4, 5, and 6!)! Percent of cattle and calf losses attributed to digestive problems, respiratory difficulties, calving complications, weather (drowning-lightening et al. and other causes: Greater Than >96%. We as American’s find many reasons to DEMAND and end to the Grazing Permit Programs on our Federal Lands – Public Lands – and an end to those Government Agencies that indeed are and remain Corrupt! New and Old References to this ongoing problem of Corruption and Illegal Use of Taxpayer Dollars, sacrifice of our environment and wildlife, things no illegal are certainly a lot of it questionable as well . . . The Economist magazine has also reported the annual cost of the federal grazing program to be $460 million. Subsidized cow chow. The Economist (Mar. 7, 2002): 39. Wildlife Services claimed to spend $5.1 million to protect domestic livestock from predators on federal public lands in FY 2004 ($5 million). GAO. 2005. Livestock grazing: federal expenditures and receipts vary, depending on the agency and the purpose of the fee charged. GAO-05-869. Government Accountability Office. Washington, DC: 6. However, this amount may be higher. The agency annually spends approximately $10.3 million on activities in the eleven western states, and it is estimated that 75 percent of this amount is used to control predators on public land ($8 million). O’Toole, R. 1994. Audit of the USDA Animal Damage Control Program. Cascade Holistic Economic Consultants. Oak Grove, OR: 1. 13 Rogers, P. 1999. Rogers, P 1999. Cash cows. San Jose Mercury News (Nov. 7, 1999): 6S. 14 USDA-NASS. 2006. Cattle Death Loss. USDA-National Agricultural Statistics Service, Agricultural Statistics Board. (May 2006).